Over 110 years ago, chiropractic was introduced to the healthcare world. Since its arrival, new techniques and methods have been introduced in an attempt to produce optimal long-term results and relief. Even now, chiropractors are constantly looking for the best ways to improve spinal and nervous system health. A vastly popular method is the Diversified Full Spine Technique. The Diversified method has garnered effective results for those who have tried it. Let’s go over exactly how this Full Spine Technique works and why Dr. Michael Sommers at Sommers Chiropractic utilizes this method in our care. The ultimate goal of chiropractic care is to improve and sustain the health and functionality of the nervous system. Our bodies are always working to adapt to stress. When we physically fail to adapt, our ability to heal decreases. This correlation is directly visible in the spine, often through vertebral subluxation, or misalignments of the vertebrae. Diversified is considered the most effective chiropractic corrective technique and is differentiated from other techniques in that its objective is to restore proper movement and alignment of spine and joint dysfunction. Like many Chiropractic and Osteopathic spinal corrective techniques, Diversified is characterized by specific high-velocity, low-amplitude adjustment to correct misalignments and remove interference to the central nervous system. The minimal-force adjusting method of the Diversified Technique enables the nervous system to better communicate and function throughout the spinal cord and brain. 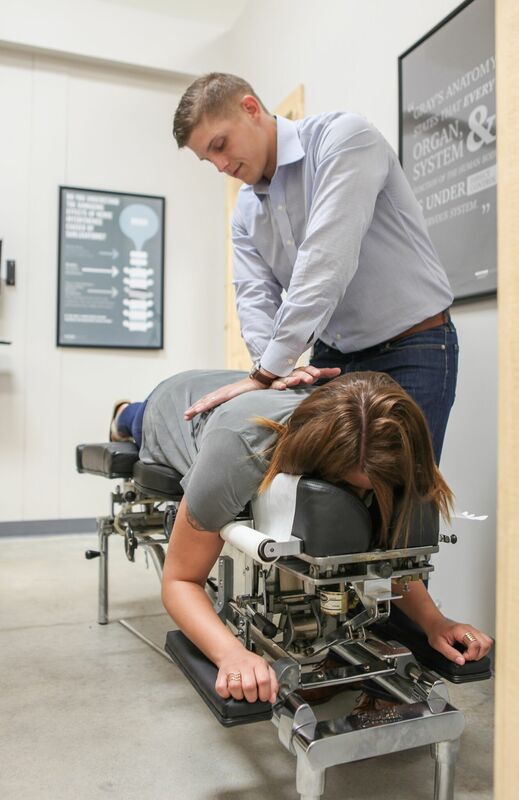 After an adjustment, a patient will likely notice a relief in discomfort and feeling of realignment of their spinal subluxations. The technique empowers the body by the removal of spinal interference to correct and heal itself for long-term health and relief. By reducing blockages and tension throughout the entire spinal system, the nervous system becomes reintegrated and the body’s performance capabilities greatly improve. Diversified Full Spine Technique is safe for all ages of children, from infants to teenagers. The method is very gentle, yet extremely effective. If you are in need of a spinal realignment within South Burlington, be sure to schedule an appointment with Sommers Chiropractic today. Soon you will be on your way to optimal health and comfort..